Applications developer Car29 has launched a new iPhone application, GPS StoryRecorder [iPhone App Store link], which allows users to record location-specific “geocasts” to share with others. 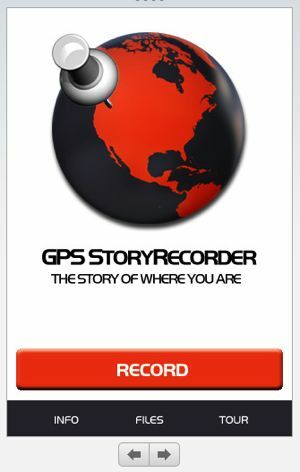 GPS StoryRecorder works on both the iPhone and the iPod Touch (2nd generation) to record whatever the user says, and save it to the user’s exact geographic location. The application automatically plays back the recordings whenever the user returns to that location. The developers suggest that the app would be useful for describing real estate listings, highlighting or reviewing of local attractions or businesses, tellling stories about community history or conducting neighborhood walking tours, and treasure hunts. Soon, the company plans to release a related networking app which will allow these individual geotagged recordings to be shared globally.Â Car29 already has a resource site, GPS Storyteller.com, which features a collection of audio tours from locations around the world. The iPhone app sells for $1.99.